XXXVIII, 487 p., 17,3 x 24,4 cm. Why do societies need laws? By what authority are they legitimized? In the first book of ›De legibus ac Deo legislatore‹ (1612), the summa of his theology of law, Francisco Suárez develops his concept of law in general (lex in commune/natura legis) as well as his general theory of legal validity and obligation. Moreover, he thereby asserts theology’s superior status over philosophy when it comes to questions of practical reason. Suárez manages a critical revision of the theories of law that have been presented by Thomas Aquinas and Duns Scotus and thus a specific mediation between intellectualism and voluntarism. 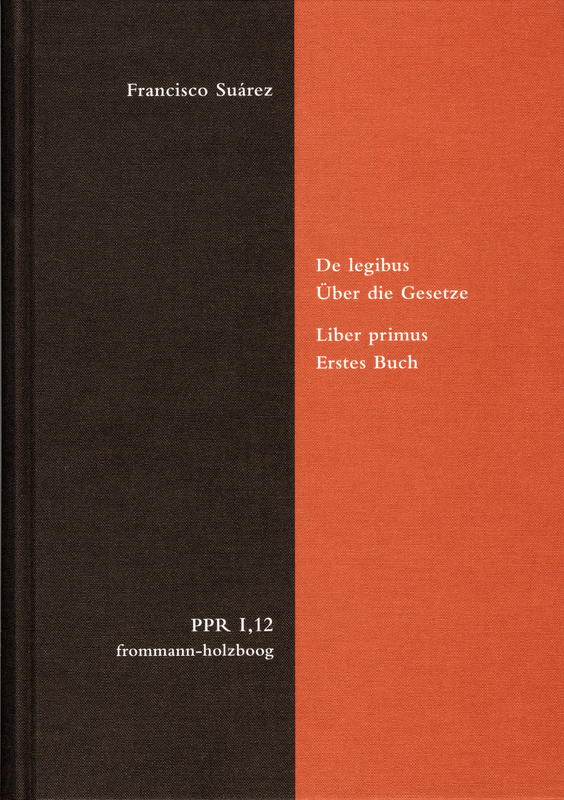 The first volume of ›De legibus‹ – constitutive for the entire oeuvre – is a document of a genuinely original theology of law, whose reception and critique should be influencing the early modern development of political theory until the 18th century, and is made accessible with a complete German translation and an extensive introduction for the first time.